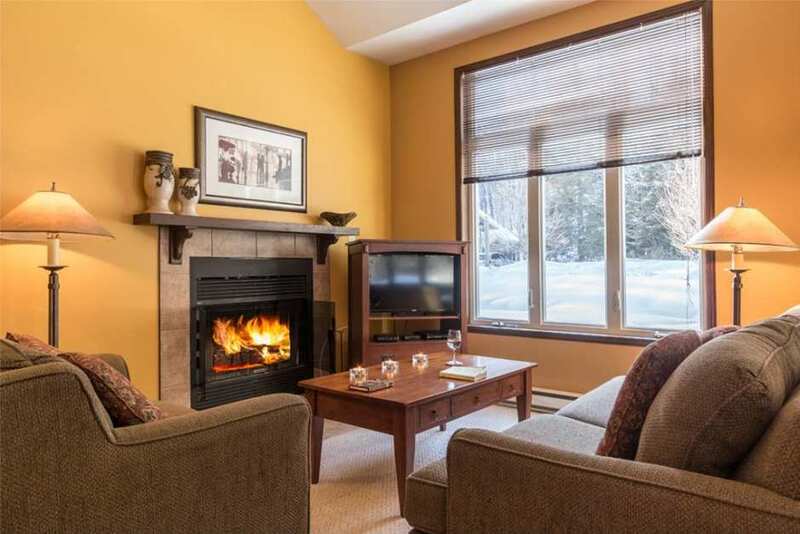 This very private corner unit is bordered by woods and has a spacious, luxurious and sunny interior. We love the large functional kitchen for preparing delicious meals, the cathedral ceiling, the dining area with its large windows and the wood-burning fireplace. 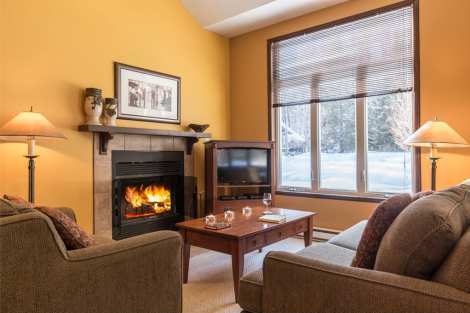 The two storeys can very comfortably accommodate six people, and come equipped with partial air-conditioning, wireless access to high-speed internet, and two TVs and DVD players. Whether you're seeking a relaxing vacation or an action-packed one, this is the ideal environment to create memories, indoors and outdoors. The unit was very clean and comfortable, the kitchen had everything we needed, guest service staff was very friendly and helpful. We enjoyed our stay and we would definitely recommend it. Unit was fantastic, everything we needed! Check in lady, gave us wrong directions, when we were already tired., but, we found our way , eventually......overall, great place to stay.